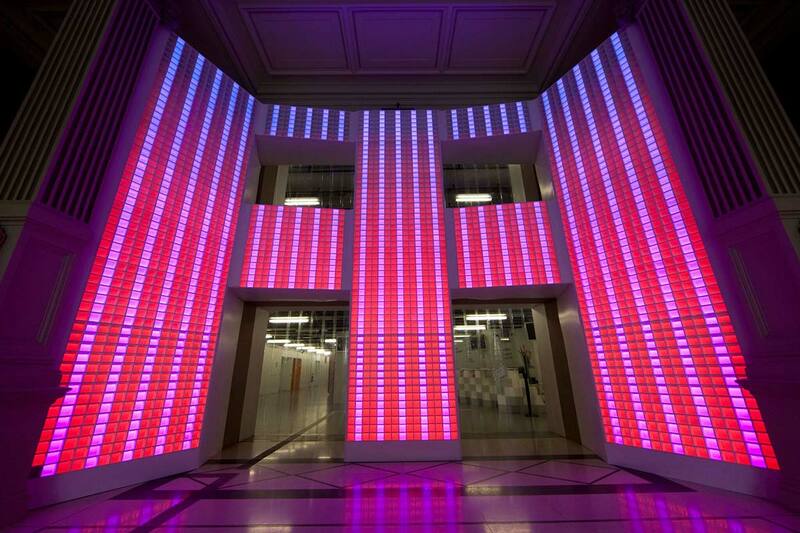 Light and sound installation in collaboration with Pierre Nouvel. Music by le Tone. Like the Greek statue of "La Renaissance" this creation is our Tribute to the 8 BIT world. The design is based on the famous little ghost n°3 from the video games: "Pacman". 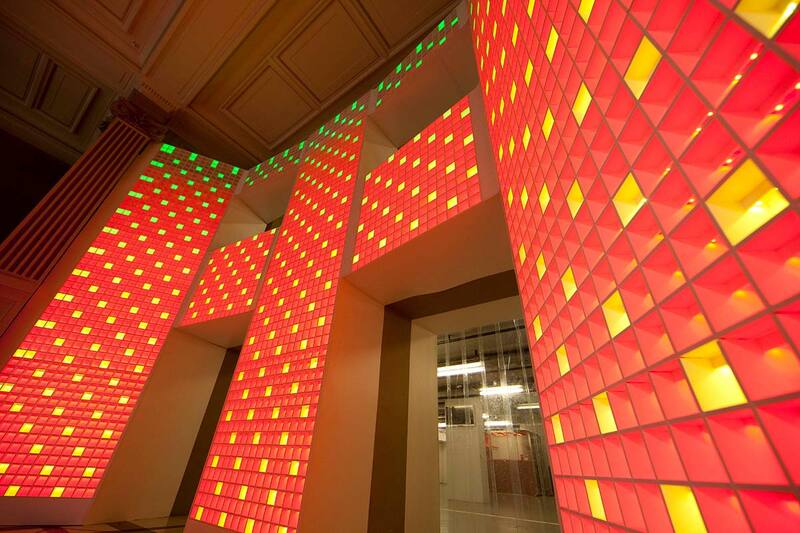 Perfectly integrate inside "La Gaité Lyrique", the art piece synchronised light and sound with harmony. The audience can stand on the front and pray the gods of our childhood. 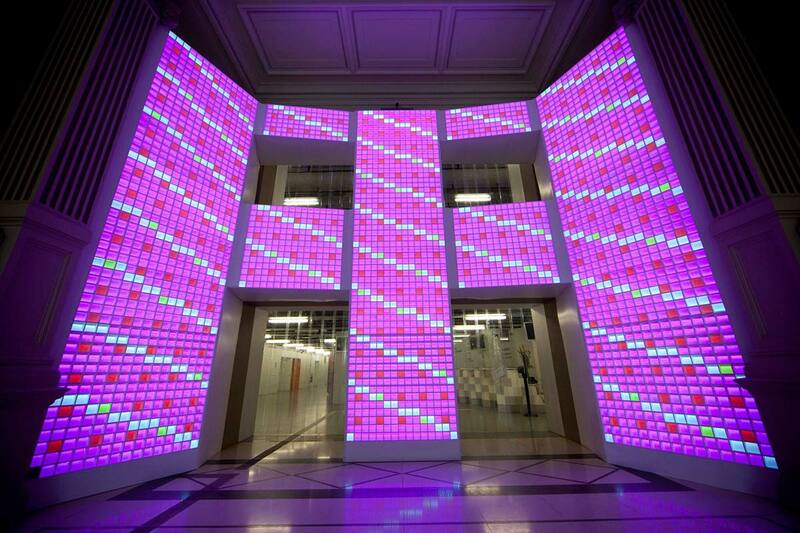 Big Thanks to Fredéric Leyre(Magasin Général), Jean-Marie Duperron, Nicolas Rosette, Zelda Bensoussan, Thierry Pillet, Thomas Derien, Jean-Michel Vanson and all the Gaîté Lyrique's team.